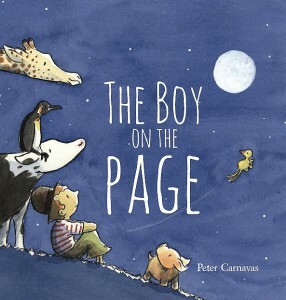 This whimsical tale begins with a young boy’s landing on the page. Things begin to unfold and grow around him and by circumstance, the boy begins to discover the wonder of life. As the boy grows into adulthood, he becomes more of a participant in the creation of the vibrant world around him. Everyday activities including painting portraits, climbing mountains, falling in love, and building a house help answer the grown man’s existential question of “Why am I here?” Lush, warm colors complement the deep, thoughtful text. This entry was posted in Uncategorized and tagged Families on August 25, 2014 by cmcook622.